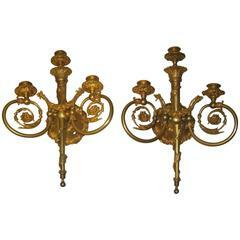 This pair of massive antique French sconce are in great used condition. 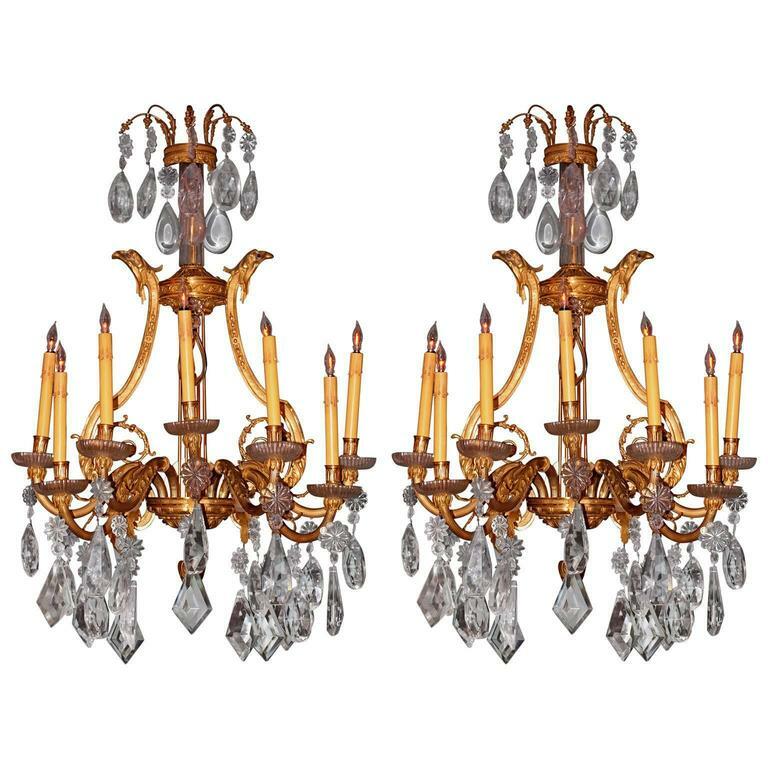 The ormolu on the bronze combined with extra large cut crystal hanging from the lights makes them exquisite. 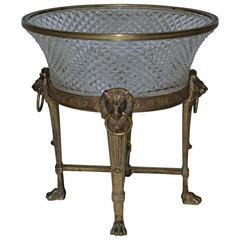 All the arms are moveable to different directions. 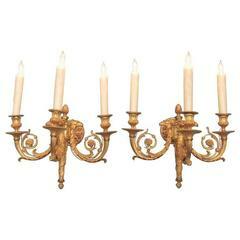 one of the bullish has a crack. .
Monumental French Antique Rococo Bronze half moon sconces. 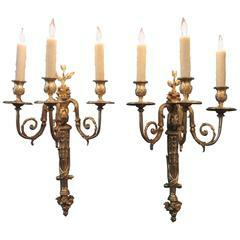 Each with four lights. 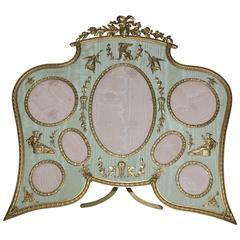 Removable mica shades. 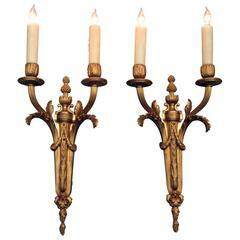 Pair of late 19th c. French Dore Bronze Sconces with Urn and Flame Motif. 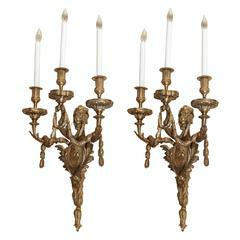 Very fine pair of 19th c.French Dore Bronze Scones, newly wired. 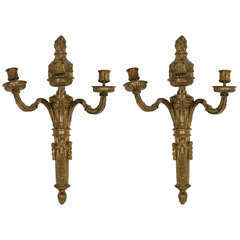 Bronze dore sconces three lights A lion masque is centered above A medallion of a woman and a male Figure. 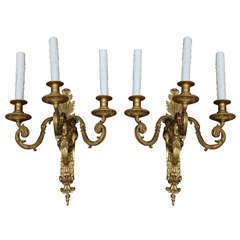 A wreath of leaf and berry connect The candle holders.